Dr. Shannon Phillips serves as the Quality Officer and as Cleveland Clinic’s first Patient Safety Officer, a role she’s had since 2007. As such, she is responsible for building an organizational culture of patient safety and implementing strategies to reduce medical error and harm in order to improve the quality of care at Cleveland Clinic. She also chairs the Cleveland Clinic health system Patient Safety Committee. Additionally, Dr. Phillips sits on the National Quality Forum Expert Panel on Common Formats, a group dedicated to allowing healthcare providers to collect and submit standardized information regarding patient safety events. Dr. Phillips speaks nationally and internationally on leadership, safety, quality improvement and culture in healthcare. Clinically, Dr. Phillips is a general pediatrician and pediatric hospitalist with particular interest in the inpatient care of medically complex children and the family-centered approach to patient care. She was the first center director for Pediatric Hospital Medicine. From 2006 to 2008, she led Children’s Hospital patient safety initiatives. Prior to joining Cleveland Clinic, Dr. Phillips held appointments in pediatrics at Indiana University School of Medicine (James Whitcomb Riley Children’s Hospital) and University of Pennsylvania School of Medicine (Children’s Hospital of Philadelphia). She developed the first pediatric hospitalist program at Methodist Hospital/Riley Children’s Hospital in Indianapolis. 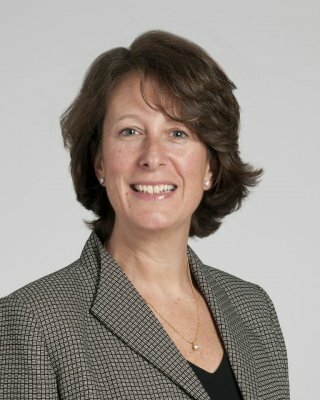 She joined Cleveland Clinic Children’s Hospital in 2004 to develop and lead a pediatric hospitalist medicine program. Dr. Phillips earned her medical degree from Columbia University College of Physicians & Surgeons, New York, and her undergraduate degree from Emory College, Atlanta. She serves on the faculty of Cleveland Clinic Lerner College of Medicine of Case Western Reserve University. Dr. Shannon Phillips currently serves as the Quality Officer for Cleveland Clinic Main Campus in Northeast Ohio. 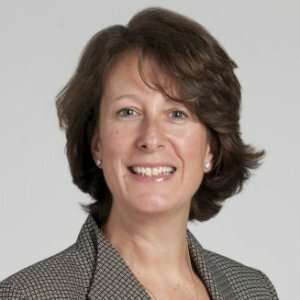 She leads a team of Quality Directors partnered clinical Institutes who facilitate high reliability, safety culture and quality improvement activities. The Evolving Role of Midlevel Providers: Where are We Headed? Is this a Quality or Cost-saving Trend? Quality and Patient Safety Public Reporting: Realizing Sustained Improvement Through D.E.R.T. Healthcare is changing. There are growing pressures to cut costs and improve quality. The value proposition in healthcare has never been more relevant. Join Dr. Phillips as she provides a critical overview of the tools used to measure outcomes and quality of care, development and use of practical guidelines, advantages and disadvantages of various methods, and the use of such analysis in administrative decision making. Dr. Shannon Phillips, Patient Safety Officer of the Cleveland Clinic, discusses how collecting and sharing stories is critical in getting board and C-suite engagement on patient safety. Administrative data is a critical source for billing and for measurement of quality and safety. Hospitals must find a cross-functional collaboration among many stakeholders to drive success. This session details an initiative designed to bridge the gap between high quality clinical care and the Documentation, Extraction, and data Reporting Transformation (D.E.R.T.). Dr. Phillips helps audiences identify the key attributes of leadership and its role in changing the culture of an organization. She also shares how Cleveland Clinic has integrated safety/quality metrics, performance improvement and outcomes reporting into its culture and what it can mean to the success of an organization.